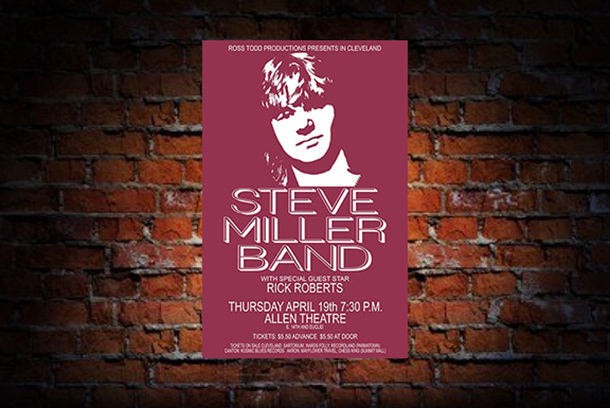 Steve Miller Band performed at the Allen Theatre on April 19, 1973 as part of their tour in support of the album “Recall the Beginning…A Journey from Eden”. Opening the show was the Rick Roberts. This entry was posted in Concerts, News, Poster Of The Week and tagged 1973, Allen Theatre, Cleveland, concert, Rick Roberts, Steve Miller.